SEASON TWO OF THE NETFLIX ORIGINAL “GLOW” – COMING SOON! 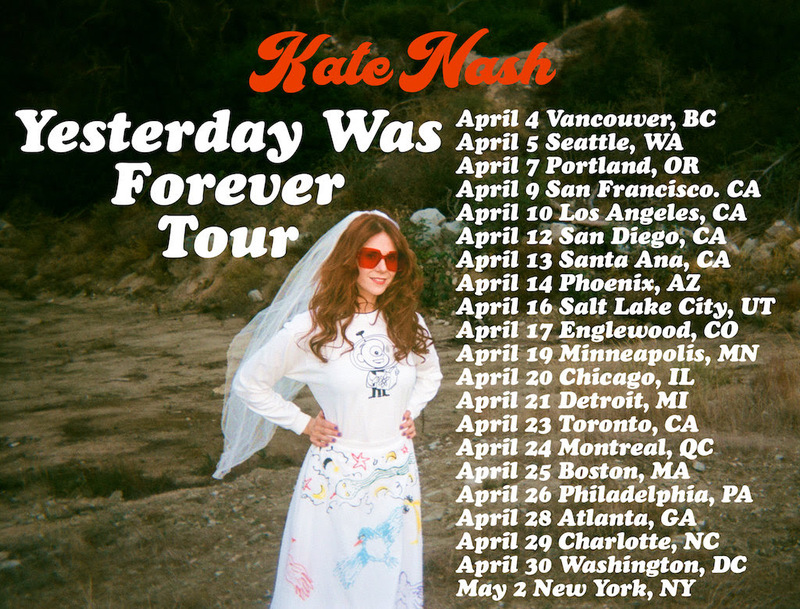 Following the announcement of a fourth studio album “Yesterday Was Forever” (out March 30) and the premiere of her latest single and accompanying video for “Drink About You,” British musician, actress and activist Kate Nash has announced today, an upcoming North American tour, set to kick off this spring. Starting on April 4th in Vancouver, Kate Nash will be taking her all female band on a 3-week run across the United States. Last Friday, Kate Nash released “Drink About You” is a wonderfully sugary hit of bubblegum pop powered by a rickety drum machine and twanging LA-Lo-fi guitars, with an infectious scream-along chorus that breaks into the track. Accompanied by a new video, shot in the Los Angeles National Forest and directed by Liz Nistico from Holychild, “Drink About You” points towards a bright and bold future for Kate in 2018.